Sometimes you just can’t wait a whole year for those cute little Girl Scouts to knock on your door selling contentment in a box. 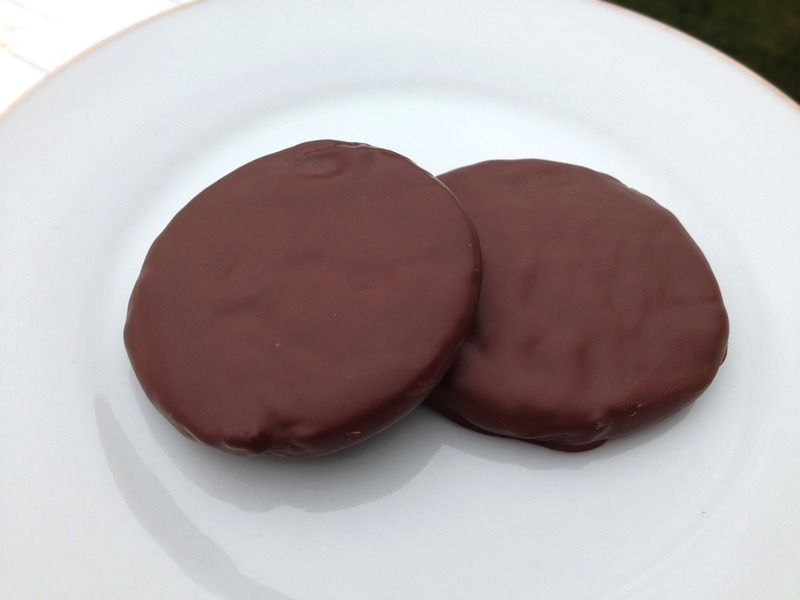 If you absolutely must have Thin Mints before cookie selling season comes around again, this recipe is for you. You could also dress them up for Christmas by adding some crushed candy canes. Preheat oven to 325°F. Line a baking sheet with parchment paper or a silicone mat. Whisk flour, cocoa powder, baking soda, baking powder, and salt in a bowl. In another bowl, beat butter and sugar with a mixer on medium-high speed for 1 minute. Reduce speed to medium-low, and add eggs and peppermint extract. Slowly add flour mixture, and beat until just incorporated. Divide dough in half and place on two large pieces of plastic wrap. Using plastic wrap, shape dough into 2 logs about 2″ in diameter. Wrap logs securely in the plastic wrap and refrigerate until firm, at least 1-2 hours, or several days. When ready to bake, unroll plastic wrap from dough logs. Use a sharp knife to cut dough into 1/4” disks. Gently reshape edges into circles, if necessary. Place cookies on lined baking sheet, keeping unused dough in the refrigerator until ready to slice. Bake cookies for 10 minutes, or until dry to the touch. Cool 2 minutes on baking sheet before transferring cookies to wire racks to cool. Melt chocolate in a heatproof bowl in the microwave or in a double boiler (melt chocolate slowly). Dunk cookies into melted chocolate. Use a fork to turn the cookie over in the chocolate. Pick up the cookie with the fork, let excess chocolate drip off, and gently scrape bottom against edge of bowl. Place on parchment (or waxed paper)-lined baking sheets. Let chocolate harden before storing.